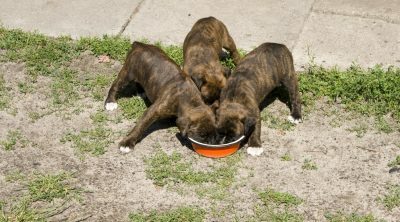 If you are a dog owner, probably one of the most important question you must be facing like most dog owners is what to feed your pet. Have you ever wondered: Can dogs eat pineapple? Pineapple is rich in vitamins, minerals, fructose and fiber but is the fruit as beneficial to canines as it is to humans. In a word, yes, although the answer is not as simple as that. In fact, there are many things to consider. You need to be aware of both, the advantages as well as the disadvantages to feeding your dog pineapple. In this article, we will discuss the benefits and disadvantages of pineapple. Can Your Pet Eat Canned Pineapple? Can Your Pooch Eat Pineapple Skin, Leaves or Core? How Much Pineapple to Feed Dogs Daily? Can Dogs Be Allergic to Pineapple? What To Do If Your Dog Has Consumed Too Much Pineapple? You can feed pineapple to your dog in moderation and as a treat. A little pineapple may actually be pretty beneficial to your pet. Pineapples provide many nutrients and vitamins to your furry pal. From helping with digestion to even reducing pain and prevent cancer. You could even say that pineapple is the new dog superfood! Yet if your furry friend doesn’t suffer from any of these things, pineapples can be extremely beneficial to your dog’s immune system and overall health! Just be careful when giving your dog pineapple because too much of this fruit can cause discomfort and diarrhea. Start out with giving your pooch 1-2 fresh pineapple pieces to see how the pet will react. After monitoring your furry pal for a day, you can establish whether pineapple is suitable for your dog. The majority of a dog’s diet is based on protein. Feeding dogs pineapple is beneficial since it contains the enzyme bromelain that facilitates the decomposition of protein and thus its absorption. Since pineapple improves the overall ability of digestion, it allows dogs to better absorb other important nutrients from food as well. Pineapple is recommended as a food for dogs as it improves their health. Note: it’s best to feed fresh pineapple to your dog, since bromelain may be destroyed when the fruit is canned. Being rich in minerals, vitamins, fructose and dietary fiber, pineapple helps digestion and increases the body’s immunity. It contains B1 and B6 vitamins and thiamin, which produces energy, as well as vitamin C. It also contains folate and pantothenic acid. While dogs can make vitamin C on their own, sometimes the quantity produced is not enough. The minerals magnesium and manganese are also present in great quantities. 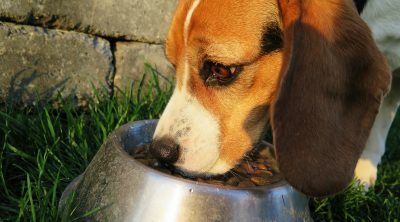 Manganese helps strengthen dogs’ bones. Feeding dogs a small amount of pineapple can fulfill most of their necessary nutritional requirements. Coprophagia is a medical condition in which dogs eat their own excrements. One reason for this disease may be a weak digestive system. Nutrients from food are not completely absorbed and are excreted. The dog eats them in an effort to fulfill its body’s nutritional requirements. As previously stated, pineapple improves digestion, thus removing the need for the dog to feed on its excrements. Another theory is that pineapple once digested, affects the taste of the feces, thereby making the dog reluctant to eat it. For this reason, vets suggest a raw pineapple or pineapple juice as a suitable cure for this illness. 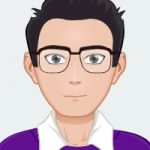 One more option worth considering if your dog is eating its own feces, is to use [easyazon_link identifier=”B00CNVANSS” locale=”US” tag=”frtp-20″]Coprophagia Soft Chews [/easyazon_link]. The enzyme bromelain present in pineapple also helps fight cancer. According to research, the enzyme lessens swelling in the joints efficiently and studies have proven its effectiveness in shrinking tumors. Furthermore, it is believed that pineapple helps alleviate pain caused as a result of chemotherapy. 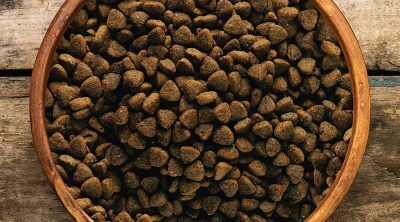 The renal system of dogs diagnosed with kidney or bladder stones is already burdened and exhausted and a certain diet is required so as to not further tax the dog’s system. If suffering from calcium phosphate or calcium oxide stones, low oxalate foods are the ones that the dog can be fed in unrestricted amounts and pineapple is one of the foods on the list. 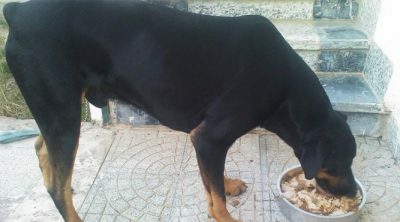 A dog on a diet rich in fats may suffer from a severe inflammatory disease known as pancreatitis. The liver might also become affected as the condition causes bile to move into the pancreas. Along with a change in diet to reduce the amount of fat consumed, digestive enzymes like those present in pineapple can also help improve the dog’s health. If your dog gets hurt, the injured part of the dog’s body begins to swell. This inflammation is normally useful; however, in some cases it may become damaging, causing diseases like arthritis. 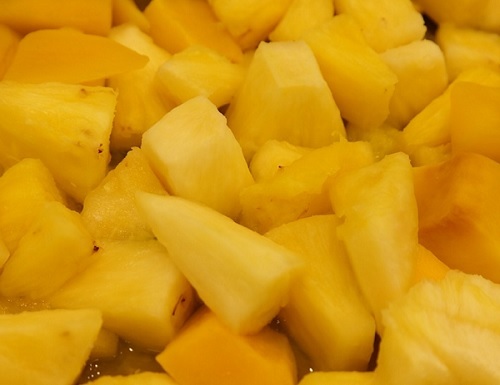 There are many foods which have an anti-inflammatory affect, one of which is pineapple. The treatment for prolonged inflammation includes medication, weight control, exercise and dietary control. These changes will help improve your dog’s health. Pineapple can also be used simply as a summer treat for your dog as it is healthy and nutritious. This may serve as a good change from store bought treats. Canned pineapple is loaded with sugar and contains less nutrients such as much needed bromelain which helps your pet to break down proteins and absorb nutrients. It’s best to feed your pooch fresh pineapple treats in order for your dog to get the most benefits. However, make sure to use your best judgment when giving pineapple to your dog. If you see that your furry buddy is acting different, experiencing diarrhea and not eating, it’s best to immediately stop feeding him/fer pineapple. Yes, you can give pineapple to your puppy. Generally, puppy’s digestive system might be more sensitive than adult dog’s, so it’s necessary to monitor your furry pal first after giving him pineapple. If your puppy doesn’t show any signs of diarrhea or discomfort, you can start feeding him occasional pineapple treats. Introducing your puppy to eat pineapple early, can also have great long-term benefits. However, eating too much pineapple can harm your dogs’ health as it contains a large concentration of sugar. A single cup of pineapple contains around 16 grams of sugar, therefore, eating too much pineapple may lead to many problems. The high sugar content of pineapple can cause your dog gas, tummy pain, diarrhea, and vomiting. Pineapple should not be a staple food in your dog’s diet. Dogs are carnivores and their digestive systems are not built to eat too much fruit and vegetables. It’s best to only give your dog couple pieces of pineapple a day. It’s best to select a pineapple that is heavy for its size. Bigger pineapples may have more edible flesh, otherwise there is no difference in quality between a small and a big size pineapple. These fruits should be free of dark spots which may indicate the fruit is spoiled already. Pineapple will not continue ripening after it is picked. It’s recommended to select a pineapple that has a fruity sweet smell at the end of the stem. If you notice sour, musty or fermented smell, your fruit may not be edible anymore. You can leave your pineapple at the room temperature for couple of days before serving it. However, leaving it out on the counter won’t make the fruit any sweeter but it will make it softer and juicier. Keep on eye on the pineapple since it’s pretty perishable, make sure it doesn’t spoil before you get the chance to give it to your pooch. If after couple days you still haven’t served the pineapple, you should wrap it in a plastic wrap and put it in the fridge. It will stay in the refrigerator approximately 3-5 days. When feeding pineapple to the dogs, it is important to remove its outer skin which is hard and of no use. Once the skin and leaves are removed, you can cut the pineapple into little pieces or chunks. Make sure your pineapples don’t have any bruises, soft spots, and darkened “eyes.” These spots would indicate that your fruit is past its prime. The useful enzyme “bromelain” can be found in great quantity in the middle part of the fruit. It is important to use only fresh pineapple since the processes that the pineapple goes through while being canned, destroys the bromelain. Once you’ve cut up the whole pineapple, store it in an airtight container in the fridge or freezer. You can even feed some frozen pineapple pieces to your pooch in a hot summer day. 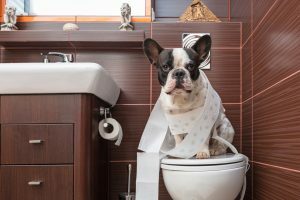 Observe your dog first though because some dog’s digestive system may be too sensitive, hence frozen pieces may cause diarrhea and discomfort to your pet. If you wish for the dog to reap the benefits of the fruit without the risk faced from the high sugar quantities, Bromelain supplements are available online. Moreover, if you want to avoid the extra sugar content in pineapple, cut the slices further away from the base. 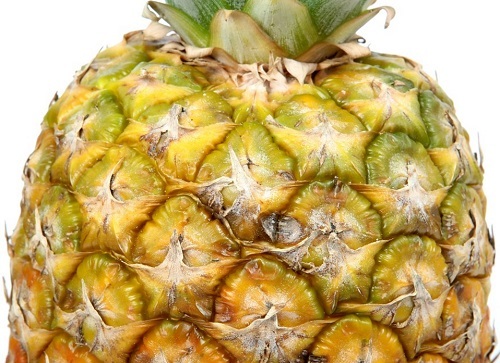 The area closer to the base of the pineapple has more sugar content. Dogs should not eat pineapple skin. 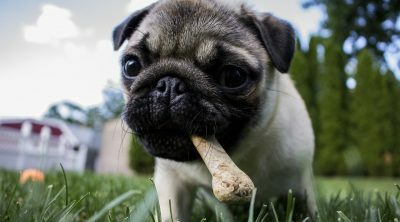 It can actually be quite harmful to your pet’s digestive system. Don’t feed any leaves or skin to your dog and try to stop him of doing that. Due to the makeup of leaves and skin, your dog’s digestive system will disrupt. Symptoms can include severe pain and diarrhea. If your dog accidentally ingested any of these parts of the pineapple, you should call your vet immediately. Even as a cure for coprophagia, you should only feed your dog 2-3 pieces of pineapple a day. However, see how your pooch reacts to this amount first. Generally, dogs are not allergic to pineapple but there may always be exceptions. It’s not a commonly allergenic food and pineapple is not known to contain measurable amounts of oxalates. Additionally, pineapples are not the 12 high risk foods that contain pesticide residues. Moreover, this fruit is frequently used as a fruit in allergy avoidance diets for these particular reasons. Also, because it contains bromelain which helps with digestion. However, it’s always recommended to watch your dog after introducing any new food to your pet’s diet. Give couple pieces of pineapple to your pooch and watch him/her closely for 24 hours. When 24 hours has passed and you haven’t noticed anything unusual with your dog then your buddy is most likely not allergic to pineapple. Dogs can be mischievous and get into things that they are not supposed to. They can be very good at finding food. Weather, they can find it in the garbage can, shopping bags, from the dinner table, from your plates, or kitchen counters. Dogs are pretty clever and can find the food easily. If your pet has eaten too much pineapple, don’t panic. Generally, your pooch should be fine after 24 hours. Not much can go wrong. However, your dog may experience gas, tummy discomfort/ pain and most likely will have diarrhea. If your dog has not returned to his regular self and still experiences discomfort, you should contact the vet. The vet may prescribe some medications to relieve your dog’s discomfort. In the meantime, give your dog plenty of water to drink. This will prevent him from getting dehydrated. Coming back to the original question “Can dogs eat pineapple?” cannot be answered with a simple yes or no. 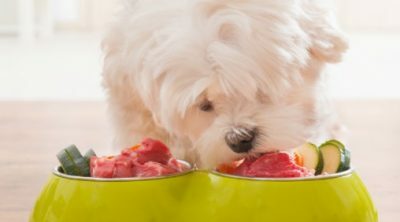 There are many factors that must be taken into account, including your dog’s health and the diet you are otherwise feeding him. However, for the most part, pineapple is safe for dogs and even provides great benefits. Pineapple has shown to be great for treating your pet’s coprophagia, digestive problems, arthritis, and pancreatitis. Pineapple treats are healthy and effective addition to your furry friend’s diet. 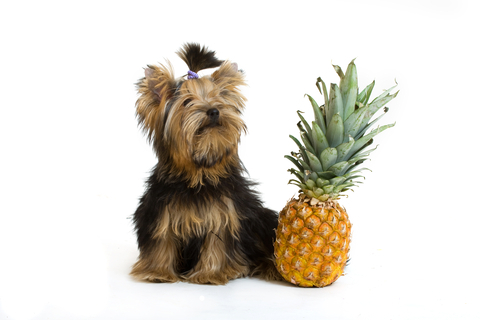 Feeding pineapple to your pooch can provide a long and healthy life for your pet. Just remember, moderation is key! Like stated before, pineapple contains necessary vitamins, nutrients and minerals which are all great for your dog’s digestive and immune system, bone and his overall health. However, don’t make pineapple as a main food in your dog’s diet. Give small doses occasionally. Couple pieces a day is more than enough for your pooch. Also, when you start introducing any new foods into your dog’s diet, start out gradually with tiny pieces first. Monitor your pooch afterwards for any adverse effects. If your dog doesn’t show any unusual behavior such as loose stool or digestive problems, you can continue feeding him the new food. If in doubt about particular food, you should always consult with your pet’s veterinarian first. Thanks for stopping by. You can start out by giving your dog couple small pieces of pineapple a day and see how he does. I wouldn’t give him more than 2-3 pieces a day. Pineapple has high sugar content and is more meant as a treat. You may also want to check out Coprophagia tablets for dogs. I note that this only works for fresh pineapple, would it be OK to freeze individual chunks and use as required, as a fresh pineapple would not keep for long once cut into. Yes, you can freeze fresh pineapple chunks and thaw them when needed. How big is a piece? Olivia, if you have a big dog, one inch piece should be fine. For a smaller dog, you can cut the piece in half.